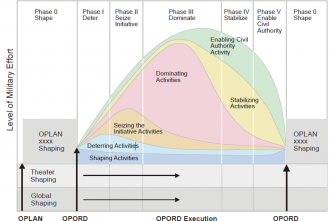 For the ADF, the goal of carrying out truly ‘joint’ operations must embrace not just the army, navy and air force, but also key non-military agencies and allied forces. Johnston says that for a country the size of Australia, coalition operations come very naturally. Because the ADF doesn’t have the massive scale of the US forces, each ADF service on operations has to work closely with the others. 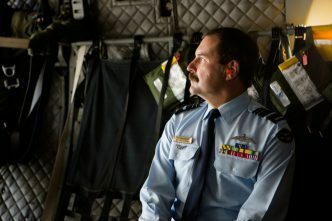 ‘Our navy doesn’t have its own protective screen of aircraft as the US Navy does, so our air force has to be involved. In terms of amphibious forces, the navy doesn’t have marines so it works with the army. We knew that was the case for the tactical forces, but we needed to be sure the operating headquarters which sat over them was equally joint’, he says. 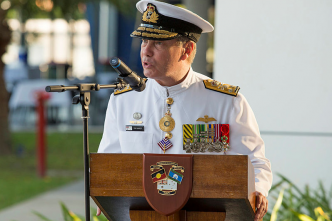 ‘We’ve tried to ensure we have an integrated headquarters that can employ the breadth of ADF capabilities in a very cohesive manner.’ With some ‘growing pains’, the navy, army and air force were given the confidence to hand over the personnel they’d trained to another commander to employ. Emerging capabilities have brought new challenges, and the commissioning of the navy’s two giant landing ships is a good example of how HQJOC has had to evolve to mount an amphibious capability and deploy it, says Johnston. 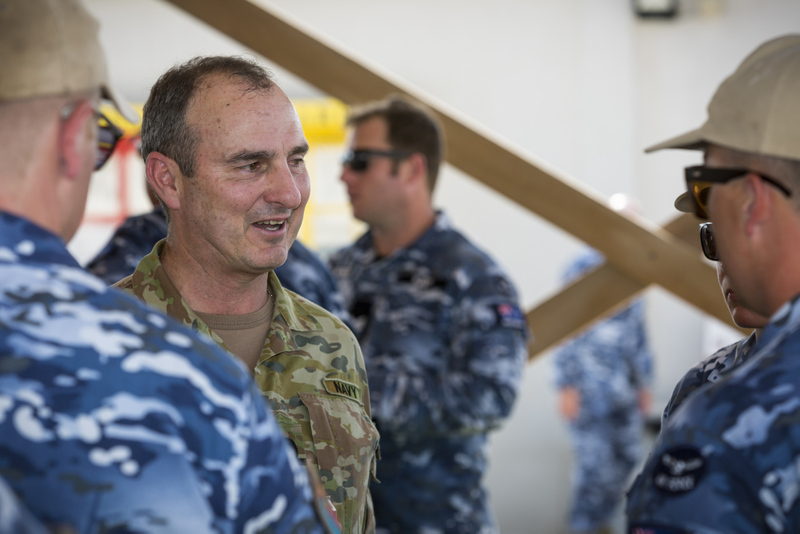 To better prepare and certify the ADF for joint operations, Johnston has been appointed its ‘joint collective training authority’ responsible for ensuring that units from different services can work effectively together. An actual operation can begin at any moment. Choreographed by the headquarters, it will start with the gathering of intelligence and surveillance of an area. That might involve intelligence agencies and manned and unmanned aircraft, such as the P8 Poseidon or the Global Hawk, and lead up to deployment of a force. When Fiji was hit by a cyclone, RAAF Orion patrol aircraft were sent to survey the damage so assessments could be made of where help was most needed. RAAF C-17 transport aircraft brought urgent supplies and carried army helicopters to distribute the relief material and an army HQ to coordinate. One of the navy’s two massive landing ships followed up. The sort of urgent planning that went into Operation Fiji Assist could be applied to a military operation. ‘The environment might be different and the outcome could be different, but the approach is consistent whether you’re doing a humanitarian activity or one that’s more combat oriented’, says Johnston. 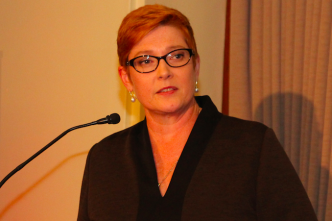 He notes that in the Gulf War of 1990–91, the ADF went into an environment of great uncertainty and threat. ‘We’ve been in different theatres ever since then and we’ve been learning all the way.’ That includes Iraq and Afghanistan and regional operations. 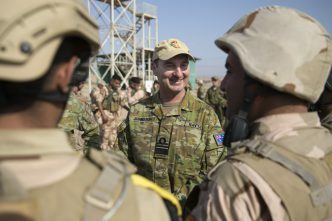 A good example of the ADF’s ability to operate independently is the self-contained air task group fighting the Islamic State terror group in Iraq. The RAAF force includes Hornet or Super Hornet strike jets, a tanker to refuel them and a Wedgetail command-and-control aircraft to coordinate operations, along with ground crews to maintain and arm them.